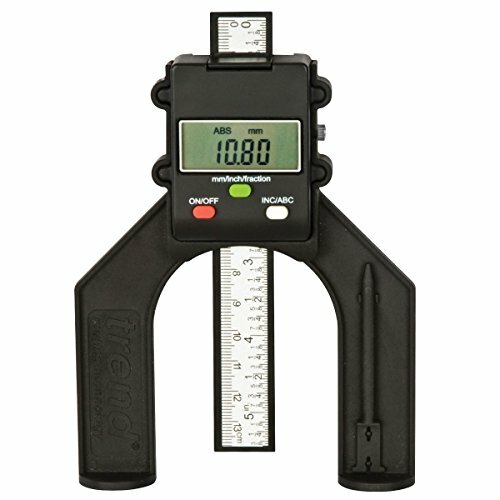 Digital depth gauge for setting tool height in a plunge router, router table or saw bench. For horizontal and vertical measuring. Product contents:Supplied with 3V battery. Specifications:Measuring range 80mm. Accuracy 0.5mm. Aperture 60mm wide. Hole depth measuring 50.8mm. View more information.